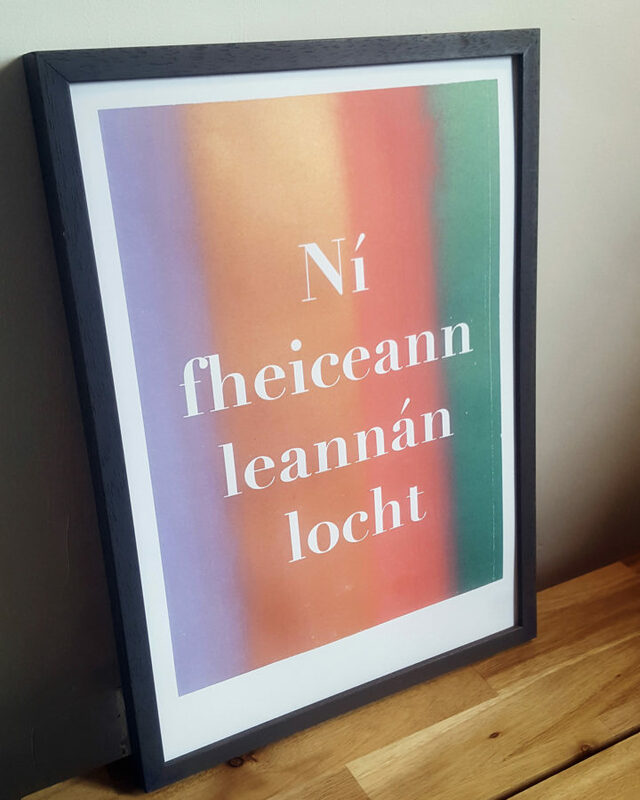 Gillian Henderson’s work is designed and hand printed, in house, at her Dublin based studio. Gillian regularly works with artists and designers on limited edition prints, packaging and textile pieces all through a screen printed medium. 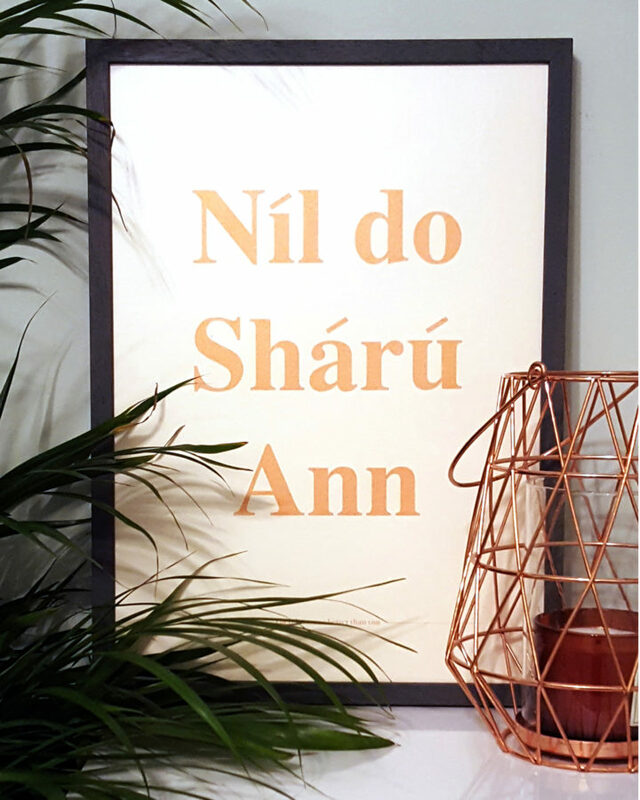 Most recently Gillian has worked with Asan Nua Blog editor Siún Ní Dhuinn to create some cool, bilingual, contemporary prints. 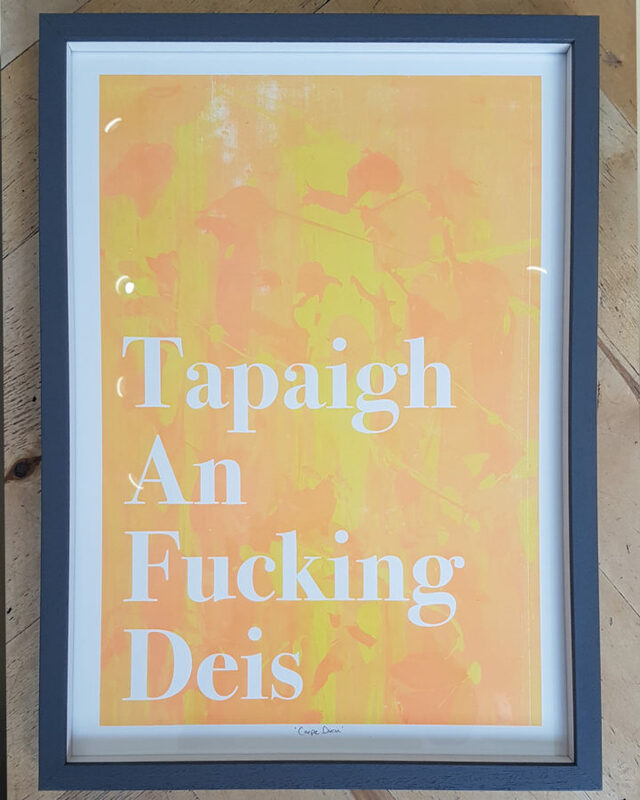 Irish design is having a moment, ain’t no denying that. The last few years have shown that even if the sectors we thought were the most valuable and reliable fail, we have more than enough talent to keep us going in other areas. Out of a mutual love of contemporary design, beautiful print and cultural appreciation, As an NuaXGillian Prints was born.